We continued our excellent recent form with a narrow 1-0 win over Sporting Lisbon in the Europa League on Thursday night that made it 11 consecutive wins across all competitions and we haven’t tasted defeat since the Chelsea game back in mid-August. Last Monday night’s 3-1 victory over Leicester City has left us sitting fourth in the Premier League table – level on points with Chelsea – and we can climb above Manchester City with a win ahead of their clash with Tottenham on Monday. Unai Emery will pit his wits against a Palace side that have scored just five league goals this season and sit 15th in the table on seven points but we shouldn’t be taking anything for granted as they can be a dangerous side at home. Arsenal are set to be without Nacho Monreal and Sead Kolasinac once again. The duo have missed our last two matches with hamstring injuries and there was no sign of them in training on Saturday so it looks like they’ll sit out the trip to Selhurst Park, which will be a real double blow. Petr Cech is back in contention after recovering from a hamstring injury that’s kept him out for the past month and Laurent Koscielny is slowly working his way back to full fitness from an Achilles injury. Palace welcome Max Meyer back in to the squad after he recovered from injury but Christian Benteke and Joel Ward remain sidelined. I hope Bernd Leno keeps his place in goal as he’s been excellent during Cech’s absence. With Monreal and Kolasinac out it will be interesting to see what Emery does at left-back. 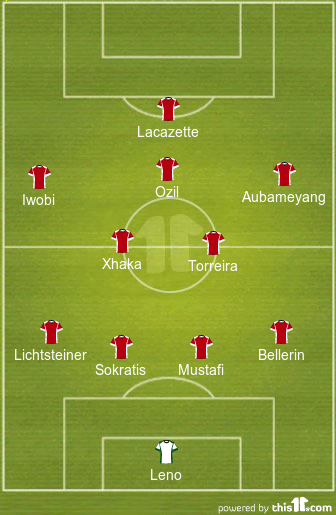 Xhaka was deployed there on Thursday and I wouldn’t be surprised to see him start on the left once again but I’d rather he started in midfield with Stephan Lichtsteiner at left-back. Mesut Ozil, Hector Bellerin, Alex Iwobi and Shkodran Mustafi should all be recalled while Alexandre Lacazette should start up front. 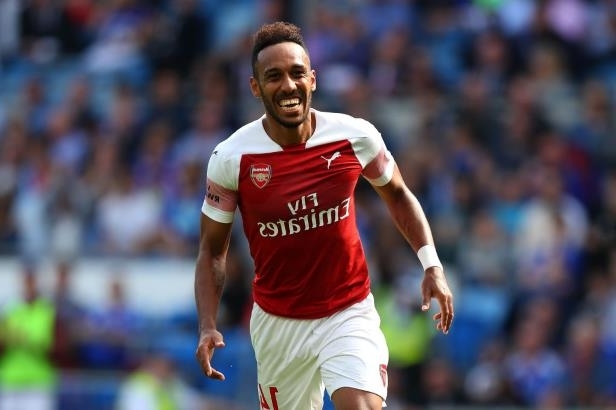 Henrikh Mkhitaryan and Danny Welbeck are options on the right side of attack but I’d rather Pierre-Emerick Aubameyang gets the nod. He’s far too good to leave on the bench.